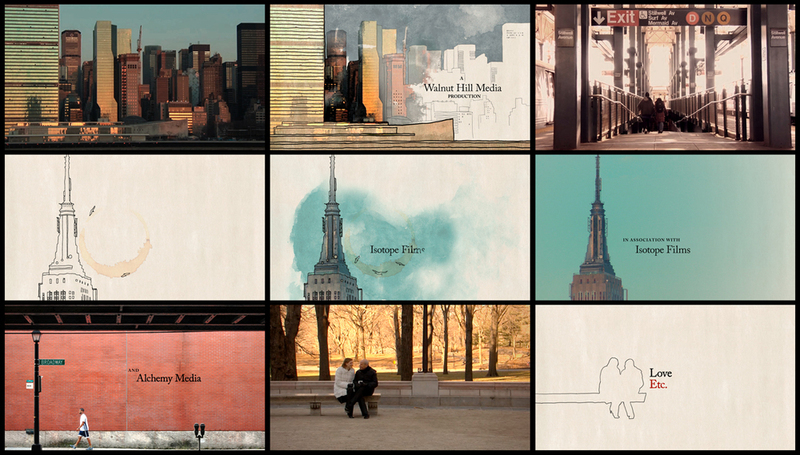 “Love Etc.” is a documentary about five intimate love stories in New York City. While each narrative explores an individual perspective, they all share a larger narrative of finding, losing and rediscovering love. The title sequence interweaves these personal episodes and captures the many dimensions of human emotions. The viewer experiences how singular moments transform from a photographic image to carefully animated line work. Borrowing from architectural drawing techniques and refined with our hand drawn typographic treatment, this sequence evokes traditional storytelling through a non-traditional method. An additional assignment was to create a thematic thread connecting the stories to better reveal ubiquitous stages of love. 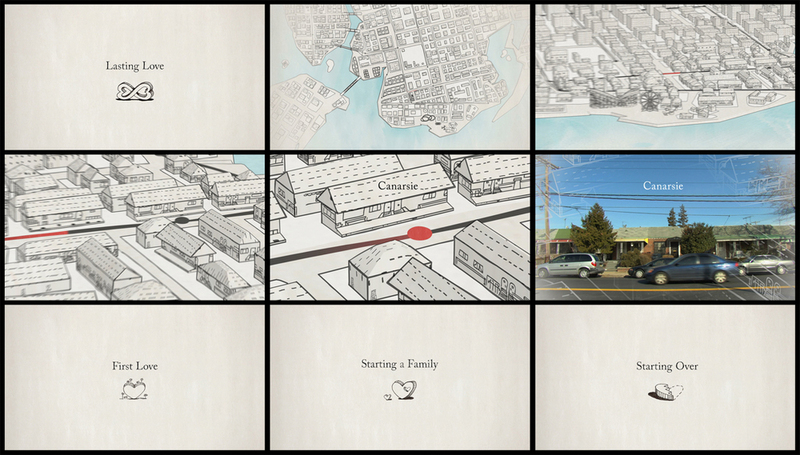 Our solution was to create "chapters" for the film using hand drawn iconography that then transitioned into toon shaded maps to create an allegorical introduction for each of the love stories. The film itself became a book, the opening titles functioned as an introduction with chapters of love presenting throughout the film. The closing shot is the Manhattan skyline seen from across the East River, the city transforms into contour lines and dabs of color as the camera gently drifts toward a full moon, leaving the audience with an endearing epilogue. Love Etc. premiered at the Hampton International Film Festival in 2010 (winning the audience award) and will be screening at several more festivals through 2011.